Effective Fall 2017: Completion of WRIT 300, WRIT 310, and 12 additional hours WRIT courses at the 200 level or above. For students enrolled under academic catalog years prior to Fall 2017, 18 hours of WRIT courses, which can include Writ 100/101 or Engl 101 or Hon 101 and Writ/Liba 102 or Engl 102 or Hon 102. 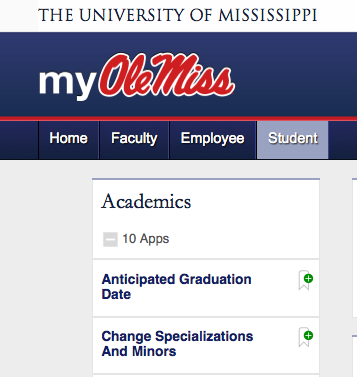 Students should refer to the UM Academic Catalog for requirements of their catalog year. A course extending the skills of academic writing and research established in first-year writing. Students analyze readings of increasing complexity, write in a variety of genres, construct ePortfolios, compose presentations with electronic tools, and choose their fields of emphases for research projects. This course introduces students to the rhetorical principles and professional practices of professional and technical writing, particularly the research, writing, communication, analytical, and technological skills needed to succeed within the pro­fessional writing minor and in professional and technical communication careers after graduation. Basic principles of rhetoric and composition applied to professional writing. Rhetoric of the workplace, electronic contexts, page design, research tools and practices, genres and conventions, and professional style. Fundamental concepts of the demands of writing for electronic audiences across a variety of platforms, with an emphasis on the interaction of the medium and the message. Study and practice in grant and proposal writing in business and organizational settings. Conventions for grant writing in nonprofit settings, consultant writing for proposals, science writing for government grants, small business grant writing. Emphasis on specific genres and transferable rhetorical skills. How do I add the Professional Writing Minor to my academic program? There are two ways to declare a minor and add it to your academic program. If you have any questions or concerns, you are welcome to contact the academic coordinator, Karla Lyles, in the Department of Writing and Rhetoric. 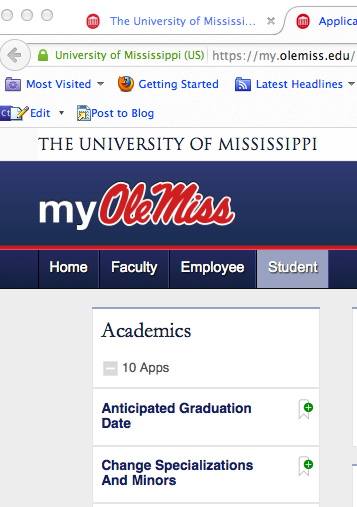 Her email is kmlyles@olemiss.edu, and she is also available by phone at 662-915-2121. If you’d like to visit with her in her office, email or phone for an appointment. Her office is located in Suite B on the 3rd floor of Lamar Hall. 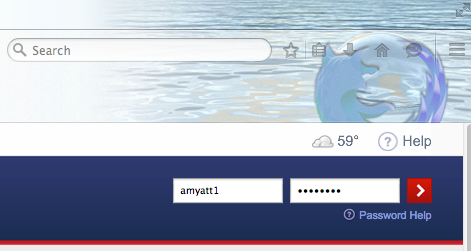 Go to the Students tab and expand the apps in the “Academics” box. 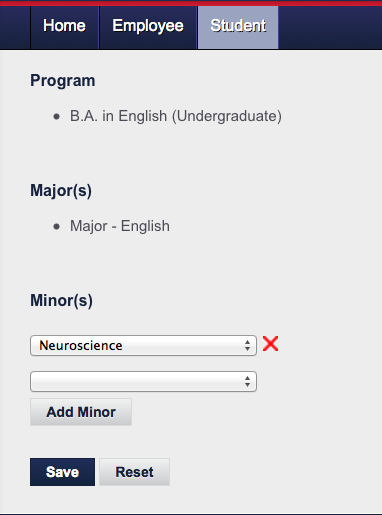 Select “Change Specializations and Minors” and find the Professional Writing minor in the list. Option 2: Go to the Dean’s office for your academic program and ask them to add the minor to your program of study.